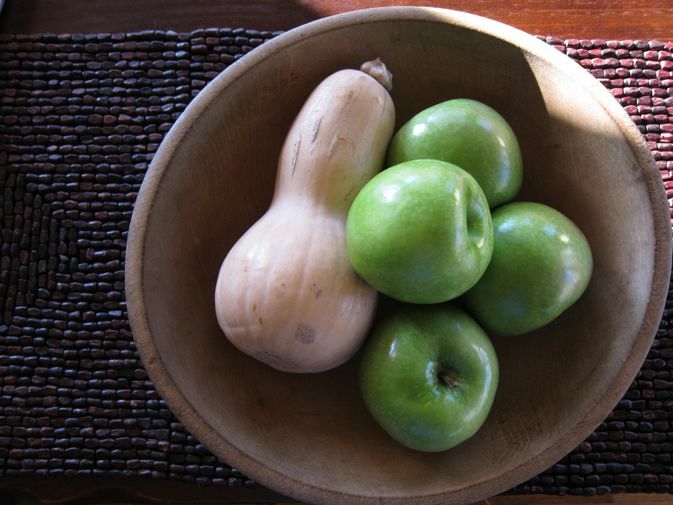 While visiting Jen over at Hope Studios this past week, I came across a post of hers called, Pinterest: Pass or Fail and knew that it would be the perfect topic for the Autumn Apple & Winter Squash Soup recipe I recently tried out. What, exactly, should squash and apple soup taste like? Would you try it and let me know? Was I missing something? Did I nail it? Should it taste like apple sauce? Clearly I'm confused. 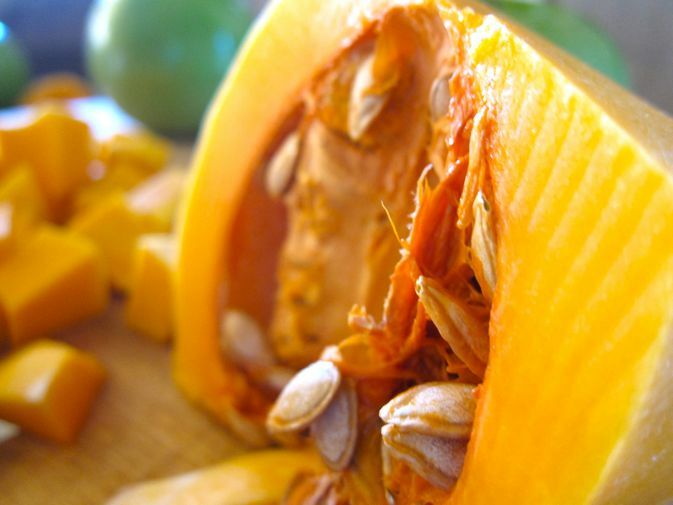 Cut a butternut squash in half and "spoon" out the seeds. Cook for 1 hour in an oven 350. In the mean time cook on low(in a soup pot with 2 TBS of oil) 1 med chopped cooking onion and two stalks of celery (chopped finely) about 10 mins. 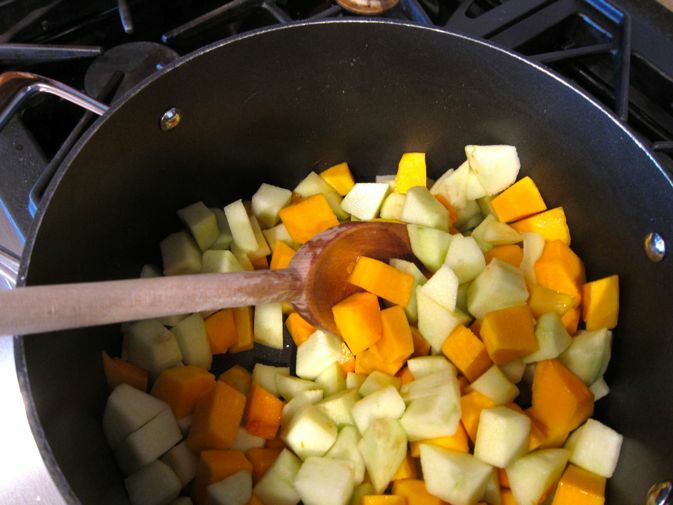 When the squash is ready, let it cool to the touch and cut off the skin and chop the squash into small cubes and add to your soup pot. Add a box of chicken stock ( use the good stuff, no additives, chemicals, etc) to your soup pot and bring the celery,onion,squash to a boil, after it boils turn it down low and let simmer for 30min. While it is simmering get out the hand blender and blend until it is smooth and no chunks.Now eat!, You can add salt and a dollop of sour-cream or plain yogurt if you like. YUMMY. OMG, this sounds fantastic!!! I will most certainly try it out. thank you. Hmmm...I've never had squash and apple soup, just squash soup. It looks good though! I love winter squash soup..however this recipe doesn't seem like it would have enough "notes" and a bit too sweet with the apple cider an over kill. The recipe i have includes stock,sauted onion,nutmeg and good dash of pepper. 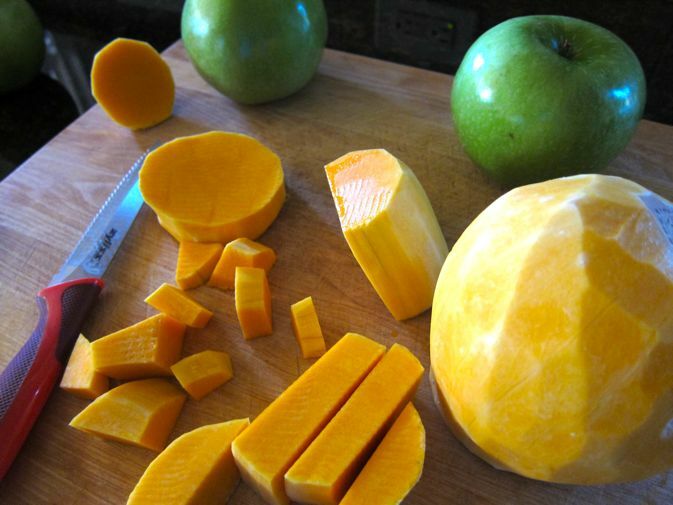 Squash should be the first thing you taste in squash soup..not apples. just my opinion. I have to agree with some of the other comments. The recipe is missing the savory flavors of onion, maybe garlic, celery. There's too much sweet going on.